There were two storms raging this evening – one not so joyous, the other completely so. 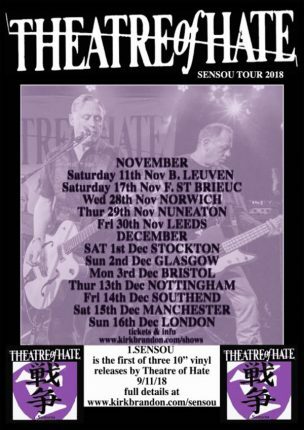 With a windswept and severely rain soaked Brighton on the receiving end of it this evening, Theatre of Hate (TOH) did their best during the opening night of their latest tour to match the elements outside with a searing, sonic performance. From one’s own personal jury, TOH has, in recent times, been the preferred choice to founder, and lead vocalist, Kurt Brandon’s other mainstay, Spear of Destiny. It’s clear that TOH has steadily made their way into this very consciousness, despite having been a long-time supporter of the band’s music, but it’s the realisation that TOH has steadily crept up from behind and overtaken the aforementioned other main project, Spear of Destiny. With both bands remaining impeccable in their approaches to their individual sounds, it remains the deep-laden grooves and (at times) near-funeral death marches of several TOH songs that win hands down from this side of the fence. Further evidence to support FLWs’ support for this particular cause can be drawn from the compelling stage presence of all involved and, in particular, the lively antics of bass player Stam Stammers who has a penchant for shuffling up and down the stage, threatening to break in to a full dance at any moment, and with bass guitar thrust skywards that towers over him quite literally. Add to this Kurt Brandon’s arm and hand movements that serve as band orchestrator in one instance, and the next delivering a sermon to the masses. From such a commanding position, it would appear that he’s urging the band forward in their struggles by giving the impression of grinding through all the cogs and gears concerning particular moments in the band’s songs, and sometimes trying to almost physically achieve this on his own. It’s utterly compelling and lingers long in the mind along with TOH’s equally impressive sonic output. 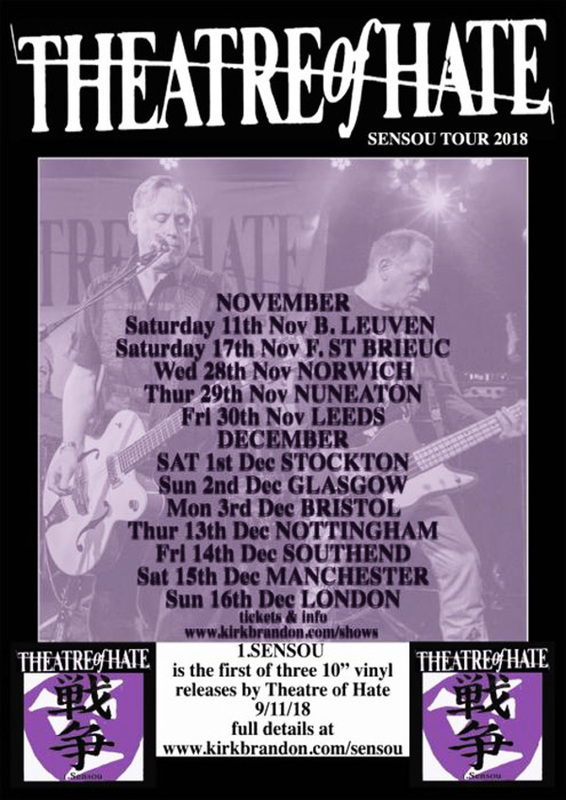 Once the full set of this latest TOH tour got underway and regulars such as ‘Nero’, ‘Original Sin’, ‘Conquistador’, ‘Incinerator’ and chart breaker ‘Do You Believe In The Westworld’ all making an appearance tonight and therefore pleasing the band’s longstanding supporters (guessing the age of half the punters this evening), there was also the inclusion of more recent recordings ‘Black Irony’, ‘Facade’, for example, from the TOH’s excellent ‘Kinshi’ album. 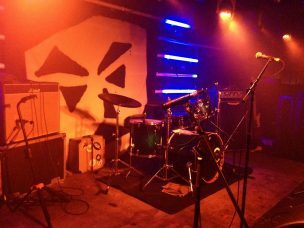 What’s also impressive is the band’s seemingly unlimited supply of energy that appears the same as it ever was, with all five members this evening roaring on all cylinders. It was as if TOH were still residing in an altogether different and most certainly difficult era of 70s/80s social and political unrest that saw many bands attempting to wage their war against the system. With so much to rally against in the present, then TOH and their armoury of songs couldn’t be more appropriate to deal with yet more difficult times. An example of this was served by set closer ‘Propaganda’ that saw the band drain every last drop of energy from their souls, and even finding their frontman reach for his guitar to add to the wail of noise for what was an extended play and one that brought the curtain down on a very successful opening night. All in all, and despite a comical hiccup involving the microphones that saw the band and audience enjoying in good humour, a perfect start and a solid precursor for the rest of TOH’s series of dates.